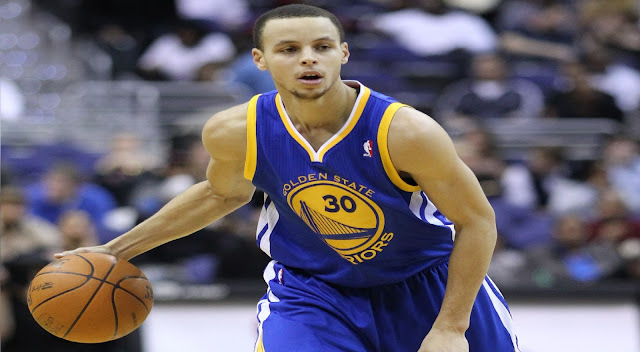 5 Inspirational Life Lessons From Stephen Curry: Beyond The Shadows - Motivate Amaze Be GREAT: The Motivation and Inspiration for Self-Improvement you need! The 2015 NBA MVP Stephen Curry become a worldwide sensation with his achievements and style of play in the NBA. The son of former NBA player Dell Curry, became the newest basketball success story. Being the son of a former NBA player can be a blessing when you think about the quality of live that father can provide for that son, but it can also be a curse if we focus on the expectations around that child once he grows up. But what if that child doesn't have the same athletic body as their father did? What if that child isn't like what everybody is expecting? Meet the success story of Stephen Curry. So what's the story of playing beyond the shadows? We take a look at Stephen Curry life events and how they can be inspirational life lessons to all of us. Stephen Curry has a younger brother named Seth, that joined the NBA in 2015. In their younger days they would play 1 on 1 pick up games and follow their father in NBA games across the country where they would sometimes shoot the ball in the pre-game warms ups. Competition started early for Curry and it was a daily battle with his brother. Our take: By competing daily with our best is the way to keep improving. You can compete with yourself by doing better numbers, more reps, more workload, but you can't duplicate yourself. Having a brother that pushes you daily is the closest thing that you can have to that. The Currys took full advantage of this and it paid off. 2. Rise up to Expectations in High School? If you are a son of a former NBA star expectations are high as they can be, when people see you playing basketball they expect to see amazing things from you. But, there are so many sons of former starts that had a modest career and fail to equal their fathers athletic career. 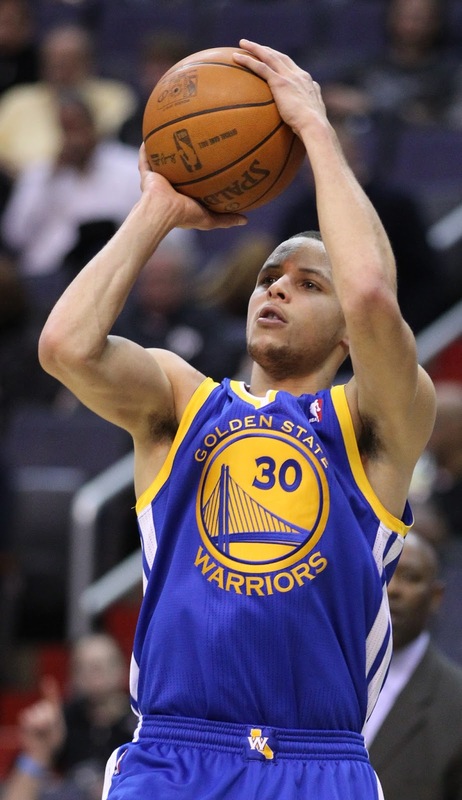 With Curry, expectations were high, but Stephen rise to the occasion displaying basketball skills of his own. 3 conference titles and 3 state playoff appearances by his high school at Charlotte Christian. First round versus expectations won. Our take: Expectations are high, you have to rise up to them, life isn't a piece a cake. But imagine if you could throw expectations away and had a clear vision of where YOU want to go, and where YOU want to be? Great right?! And you can do this with the power of your mind by focusing on effort and execution. By examining Curry's life story we think he did just that. Stephen Curry focused on working on his skill, not on what people expected from him. Erase any expectations people have for you in your mind, and go at it with the effort mentality, you get what you work for. He dreamed about going to Virginia Tech in his senior year like is father but sadly he got unrecruited by a college major program. Scouters consider him too short and too thin. So he went to play college basketball for the modest Davidson Wildcats, that weren't much of a big deal by that time, being known for their loses, not by their great accomplishments. record for 3 points made in one season in the NCCA. Our take: Transform a negative into a positive. We all have dreams and the desire to make them a reality. But sometimes, things don't shape exactly as you dream of - that can't be an excuse for lack of effort! Take what you have and work with what you have. Curry did that wisely and kept on working, results came. 4. Still underrated at the NBA Draft? In 2009 Curry applied for the NBA and got drafted 7th overall. That's not really bad, but if you consider that the top players usually go in the top 5, and, that from the players drafted prior to Curry only 2 where named All Stars by 2015, you get the underrated picture. Our take: Look at your blessings not at your misfortunes. Curry didn't draft very high, but he still manage to enter the NBA. That's a major achievement even if you aren't top 5. In life, people will underrate you, people will criticize you, but that doesn't matter really. You have to focus on what you have to work with, not how people rank you, and make the best out of what you have to work with. That's what Curry did. for his size, small frame and lack of athleticism throughout is high-school and college years, Stephen Curry's body was the focal point of criticism by major NBA experts also. He had to prove once again, that critiques were wrong, but his time in the biggest basketball stage in the world. How he manage that? With a unique style of play and a relentless shooting display, skills developed in countless hours of practicing and practicing, shooting and shooting. In 2015 his team had the most wins in the regular season, he was consider the MVP and they ended up Champions also. So much for the skinny guy who couldn't make it in the pros..
Our take: Once you think you have reached your destination you find out that there's another road ahead of you. Keep on doing, keep on going. That's how goals work, once you've achieved a particular set of goals, others will come, and life will not stop. So you cannot stop also. Every day is a day you have to prove what your worth is, prove yourself day in day out. Second, believe in yourself and in your skills, developed while others are sleeping. Outwork your opposition. You've put in the work now you have to delivery. No time for second guessing, no time to listen to critics and naysayers, go at it with all your ability and your heart.